Making brunch can be a big, celebratory occasion or a simple family breakfast with hearty comfort food. 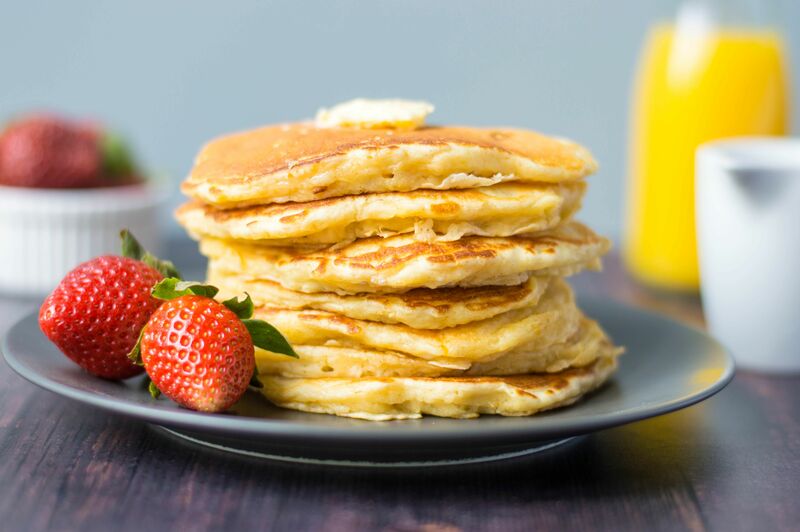 Master these essential brunch ideas for a crowd and you'll be prepared for either, with delicious pancakes, waffles, foolproof bacon, eggs, quick-bread, and fancied-up toast recipes up your sleeve. These versatile recipes can easily be adapted, made in advance, and enhanced with the ideas included, whether you're feeding a crowd, or just want to make weekend breakfast more special. Everyone needs to know a foolproof pancake recipe. Follow this essential step-by-step guide for perfect flapjacks every time—no mix required—and add all the fruit, chocolate chips, syrups, and spices your heart (and stomach) desire. Eggs benedict is the ultimate bistro comfort food. This recipe walks you through how to perfectly poach eggs and build an irresistible hollandaise sauce for your bennies. Layered on toasted English muffins with salty ham, the ingredients combine into a fabulous brunch treat that's sure to earn you rave reviews. Thick, fluffy, and soft on the inside, with a perfectly crispy exterior, these quick and easy Belgian-style waffles deliver on everything we want in a classic homemade breakfast. They also freeze well for reheating in the toaster on rushed mornings. Want to know the secrets to making perfect scrambled eggs every time? Learn everything you need to know for a fluffy, light scramble—from what to add to the eggs to the best temperature for scrambling, plus tips on the proper cooking technique. 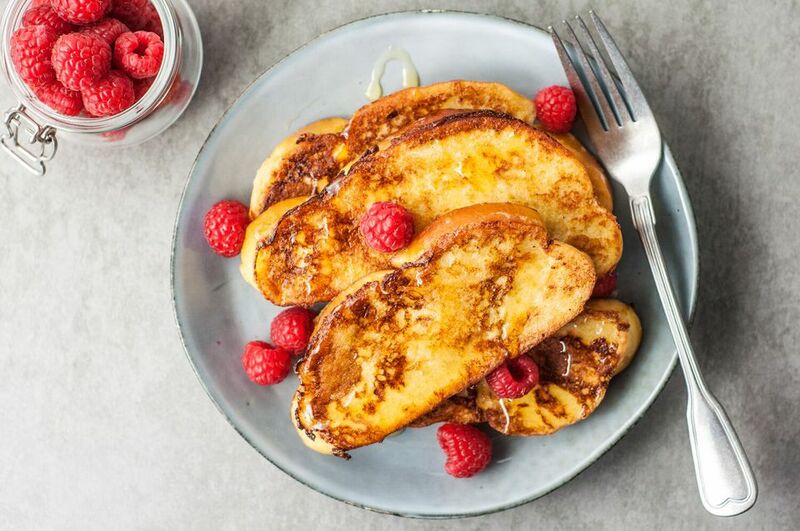 Classic and delicious French toast is a popular brunch treat and a great way to use up stale bread. Or go all out with eggy brioche or challah. Add vanilla extract and cinnamon for sweetness and spice if you like or replace the milk with half-and-half or heavy cream for extra richness. With just a single recipe, you can become an omelet master! Find the essential ingredients and tips for cooking a perfect French omelet. Once you get the hang of it, you can tweak this versatile brunch favorite with sauteed veggies, cheese, bacon or ham, to create gorgeous omelets for entertaining guests. Avocado toast has evolved from a trend to brunch mainstay. The combination of flavors and textures in this easy morning favorite is fantastic with crispy whole grain bread, and creamy mashed avocado tweaked with lemon juice, sea salt, and optional red pepper flakes. or a drizzle of Sriracha. Cute little ham and egg cups look adorable on your buffet table and make a popular hand-held breakfast bite for kids. They're easily baked in muffin tins with a sprinkle of shredded cheese and chopped green onion for extra flavor. Enjoy a deli-style weekend brunch without getting out of your pajamas with this easy recipe for everyone's favorite bagel and smoked salmon plate. The dish delivers plenty of protein and salty capers take the flavor of smoked salmon over the top. Banana bread is one of the best ways to use up overripe bananas and this is the banana bread recipe to beat all others, with or without added chocolate chips and walnuts. Pour it into cupcake tins and it becomes delicious banana muffins. Everyone loves bacon, but do you know the best way to cook it? Learn the secret to making bacon perfectly at home (hint: it starts with a cold oven) and brunch suddenly gets that much better. You'll never go back to a messy skillet again! Enjoy this brown sugar and cinnamon-spiced coffee cake with a crunchy streusel topping for brunch, holiday breakfasts, or anytime with your morning cup of joe. It comes together quickly with pantry ingredients, and has a fabulous moist, dense texture. Thin and delicate, classic French crêpes are incredibly versatile and surprisingly easy to make once you master the flip. For sweet crêpes that beg for jelly or Nutella, add vanilla and sugar. For savory fillings, add some chopped fresh herbs to the batter. Once you learn the method for making a frittata, you can load up this versatile Italian-style omelet with your favorite veggies, herbs, cheeses, and savory ingredients, to enjoy for brunch, everyday breakfast, or even a light lunch or dinner. Quiche is yet another quintessential brunch dish that's easy to customize. It makes a winning light entree and is a handy way to use up vegetables from the fridge if you decide to add them. Breakfast muffins are time-savers for busy families because you can make them ahead for a quick breakfast on the go or serving at weekend brunch. These savory snacks with sausage, egg, spinach, and cheddar cheese have all the flavors you crave, and will freeze well. Dutch babies are puffy baked pancakes that come together quickly and make a delicious brunch treat. A small amount of flour is combined with an egg and milk, and optional flavorings, to make the batter. Serve them topped with powdered sugar, fresh berries, berry sauce, or maple syrup. Rolled, Steel-Cut, Instant Oats, and Oat Flour - What's the Difference?